Kole, Ben, and Dennis talk about The Last of Us, in detail. Kole, Ben, and Dennis talk about the possible Source 2 leak, Prison Architect, and we take your questions. Dennis and David talk about mobile games and mourn the death of their co-host. Kole, Ben, Dennis, and David talk about The Last of Us, State of Decay, and why or why not to play AAA games. We are joined by Ryan Green and Josh Larson to discuss their game, "That Dragon, Cancer". Kole, Ben, Dennis, and David talk about the announcements made at E3. Kole, Ben, Dennis, and David talk about Walking Dead rumors, The Silent Age, and we ask you what you're looking forward to at E3. Kole, Ben, Dennis, and David talk about the continuing story of the Xbox One, Word Realms, and ask YOU about midnight releases. We revisit an old episode of Stand Under the Don't Tree and Riddle Me This to talk about Heavy Rain. 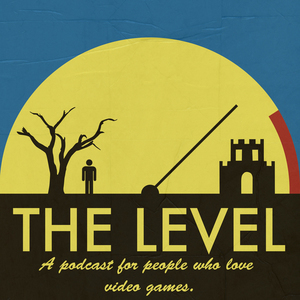 We'll be back next week with a new episode of The Level. This is a very special bonus level where we give the game club treatment to Spec Ops: The Line. Kole, Ben, Dennis, and David talk about the recent Nintendo announcements, X-COM enemy unknown, and we ask you what games you keep coming back to.